Ori Naftaly of Southern Avenue perfroming in the KNKX studios in Seattle. We were lucky to get a visit from Southern Avenue, one of the hottest new blues acts on the national scene. They have only been together a couple of years and it was their first visit to the Pacific Northwest. Hailing from Memphis, Tennessee and with a debut CD on that city’s legendary soul label Stax Records, Southern Avenue has a fresh take on blues and soul. Guitarist Ori Naftaly first came to Memphis from his home in Israel to compete in the International Blues Competition (IBC) in 2013. 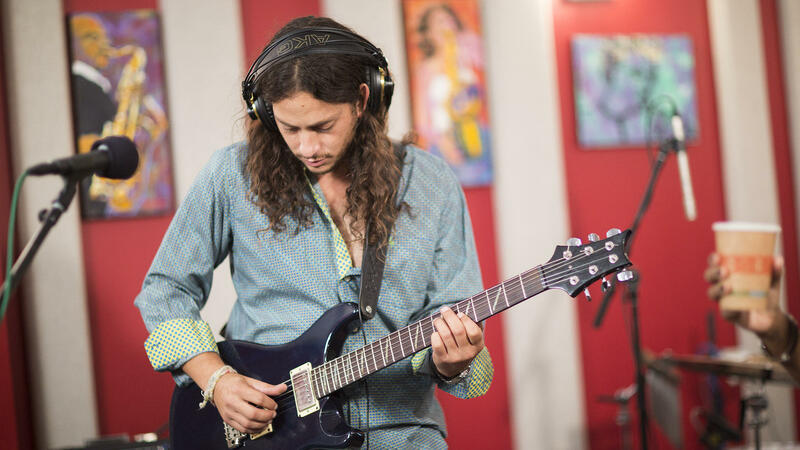 He had been fronting his own band, but after meeting singer Tierinii Jackson and her sister, drummer TK Jackson, they decided to join forces as Southern Avenue, and had early success as finalists at the 2016 IBC. They also attracted the attention of renowned musician and producer Luther Dickinson of the North Mississippi All-Stars, who lent his talents and studio for the band’s 2017 debut. With a unique sound that combines the Jackson sisters’ powerful gospel vocals and Naftaly’s crisp and well-planned guitar lines, Southern Avenue is already headlining festivals around the world. Tierinii Jackson (vocals), TK Jackson (drums and vocals), Ori Naftaly (guitar), Jeremy Powell (keyboards), Eddie Gatewood (bass). 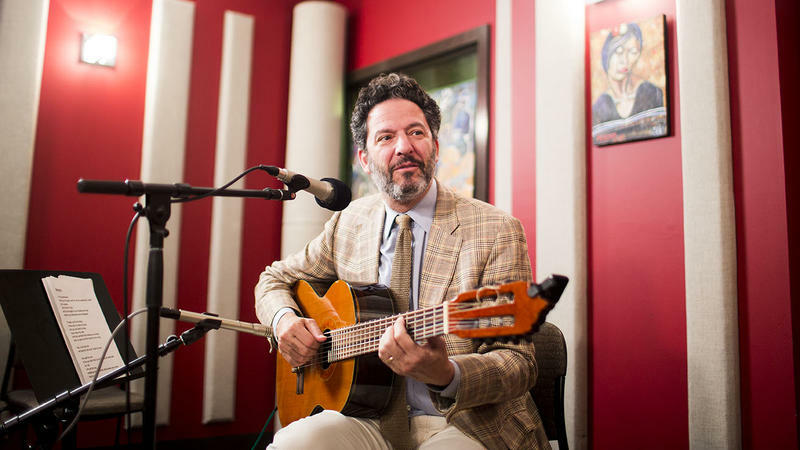 Celebrating the release of their CD “Sinatra & Jobim @ 50,” this duo brought the warmth and charm of the beloved Brazilian songwriter Antonio Carlos Jobim to the KNKX studios. 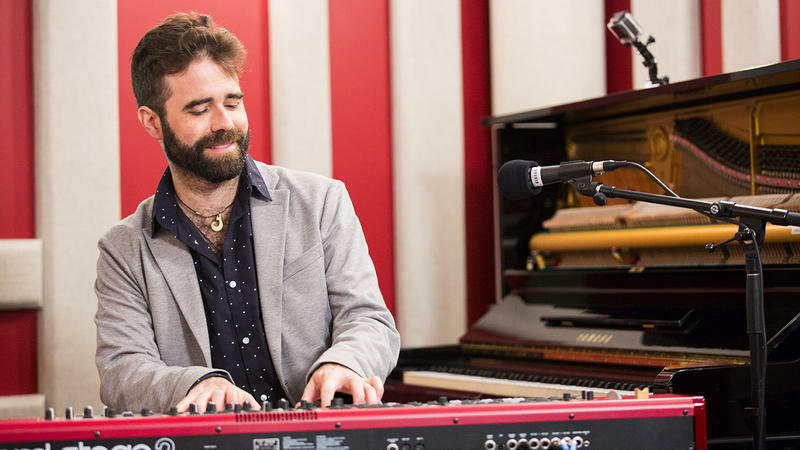 Blending the rhythms of Brazil, the Caribbean, Africa and Latin America into a groovy gumbo, Seattle's Duende Libre landed in the KNKX studios to celebrate with an exclusive performance of three songs from their new self-titled album live on 88.5.